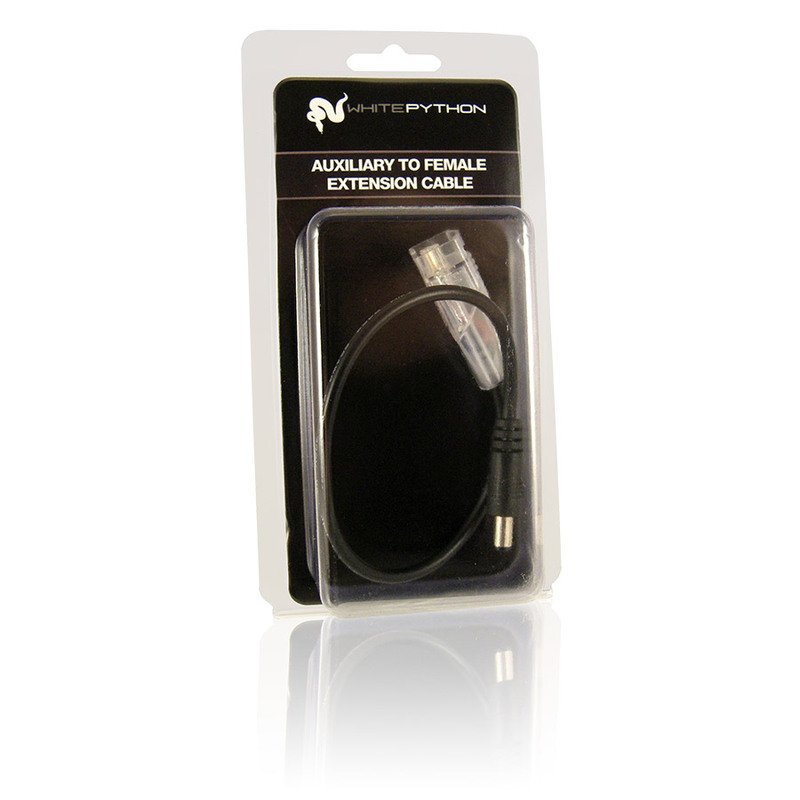 White Python Aux to Female Extension Cable | Livefood UK Ltd. The LED Auxiliary to Female Extension Cable is ideal if you want to extend your lighting kit across multiple terrariums where the normal 20cm or 40cm Extension Cables do not fit the job. With this product, you could simply slot this together with a 30cm or 1m Power cable, thereby allowing yourself the ability to place the smaller auxiliary fittings through the back of your terrarium without the need for drilling any holes.